Both grocery store refrigeration and geothermal may qualify for tax credits and energy company rebates because of their energy efficiency. 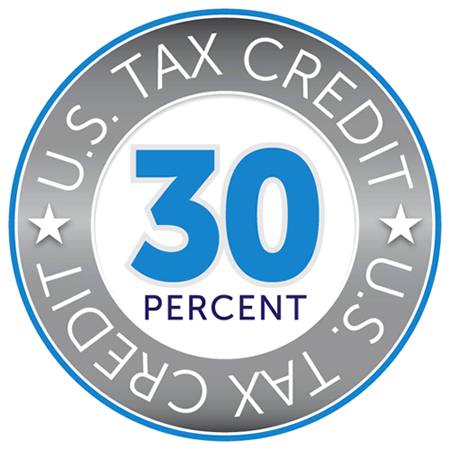 – The best way to get information about Federal Tax Credits is to check with your tax person – they would know if you qualify and what the amount will be. The sooner the better though, because they diminish over time. – The energy credits and rebates depend on a lot of factors such as your energy usage and the utility company. Call us we may have the contact for you to get the maximum rebates. The simple experience of heating a pot of water on a stove demonstrates that a lot of energy must be applied for an extended time. Multiply that amount 1,000 times and one begins to realize the expense of water heating in a hotel or institution. Water heating generally represents 35% of energy cost in the hospitality industry, 32% in restaurants, and 18% in health care facilities. Saving 75% is now possible with the powerful hybrid EarthLinked® system, using renewable energy from the earth. It’s an add-on to the traditional means of water heating, so capacity and reliability are increased! Businesses and institutions are pressed to reduce their energy cost. It is necessary to gain control over their future by increasing efficiency, reduce costs, and adopt sustainable practices wherever possible. Those who are anchored in the old ways remain exposed to volatile energy prices and risk losing competitive advantage. Earthlinked also has a variety of models for heating and cooling buildings in addition to hot water. Learn which options are best for you! Every situation is different. Contact us today to learn which options are best suited for you. Our experts will show you how to navigate the credit and rebate process.